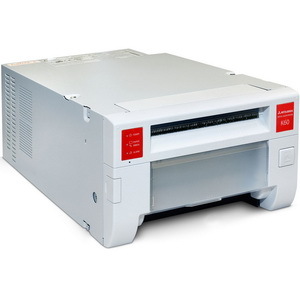 The CP-K60DW-S photo printer was built as a compact, full-featured printer offering event photographers and photo booth integrator the best value. 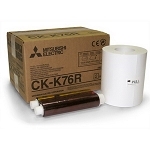 The CP-K60DW-S is a compact and lightweight dye-sublimation printer that requires minimal installation space while offering maximum flexibility and print output given its size. Capable of printing FOUR different print sizes from a single roll of 6? media, users can easily choose 2×6, 4×6, 6×6, and 6×8 prints from the very same roll of media. Its newly developed image processing method allows for the reproduction of excellent, high resolution prints available in both glossy and/or matte finishes. 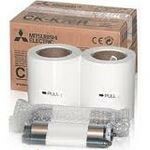 The CP-K60DW-S is also designed with an ink “rewind” technology built to maximize ribbon usage when printing a 4×6 photos using 6×8 ribbons. The CP-K60DW-S is compatible with most popular versions of Windows and MAC computer operating systems. The new rewind function optimizes 3x5 & 4x6 prints by maximizing media usage reducing waste - saves operator cost.